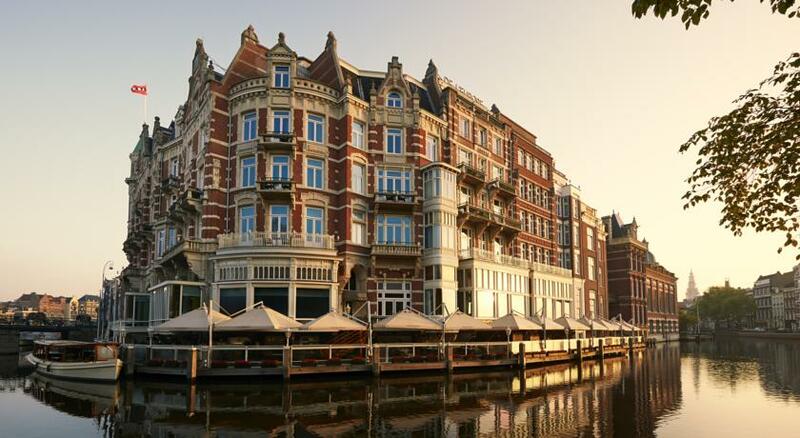 The luxurious Conservatorium Hotel is located within 200 m of the famous Vondelpark and Museumplein. It offers modern design accommodation and extensive wellness including an indoor pool and sauna facilities. A flat-screen cable TV, luxurious design furnishings and free Wi-Fi is standard for every Conservatorium Hotel room. Other amenities include a spacious bathroom, a seating area and a tea/coffee maker. Upon arrival fresh fruit and a beverage will be present in the room. Taiko is chef Schilo Van Coevorden’s new Asian-inspired restaurant in Amsterdam. The restaurant offers an extensive à la carte menu, including shared dining experiences, and serves a broad selection of exclusive sake. The adjacent bar has a menu with a wide range of cocktails, drinks and Asian tapas. 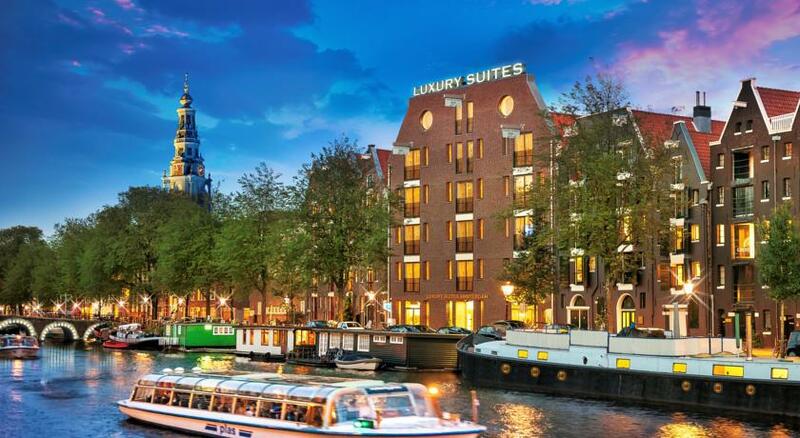 This 5-star hotel in the heart of Amsterdam offers luxurious rooms and facilities only 5 minutes from Dam Square. It features a top-level restaurant, and a spa with an indoor pool area. 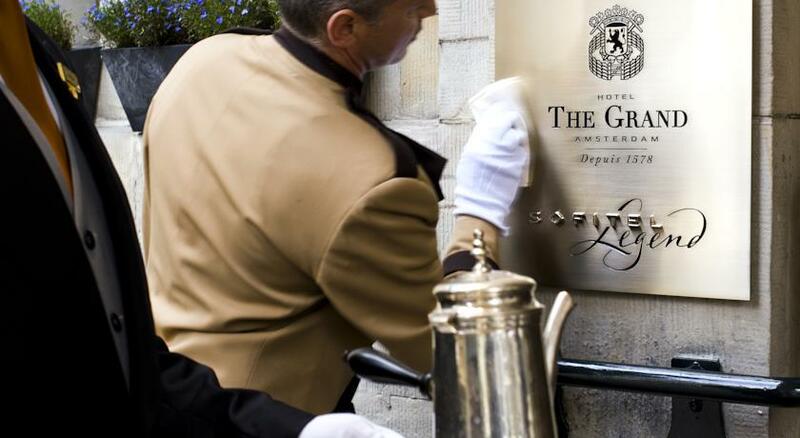 Sofitel Legend The Grand Amsterdam offers well-kept rooms and suites with modern bathrooms and a rain shower. Dressing gowns and slippers are provided for extra comfort. Free Wi-Fi is available, there is also high speed wireless internet available for an extra charge. Their Michelin star Bridges restaurant focuses on organic seafood. You can complement each dish with quality wines from the vinotheque. For a bite of caviar and lobster with a cocktail, you can visit the raw food or cocktail bar. After a busy day you can regain energy in the spa with its heated indoor pool, sauna, hammam and fitness area. There is also a charming garden and terrace for sunny days. From The Grand most important landmarks are within walking distance, including the Van Gogh Museum, the Anne Frank House and Amsterdam Central Station. Trams stop at Dam Square and offer easy access to the entire city. Located in the heart the canal belt, lifestyle hotel Andaz Amsterdam Prinsengracht offers elegant design rooms with free Wi-Fi. The Jordaan area and Negen Straatjes area, are within a 15-minute walk. All rooms at Andaz Amsterdam Prinsengracht are individually decorated and designed by Marcel Wanders. Rooms feature a seating area with flat-screen TV, a minibar with complimentary drinks and snacks and coffee/tea making facilities. The bathroom has a shower, toilet, bathrobe and free toiletries. Andaz Amsterdam Prinsengracht has a Spa & Wellness centre where guests can enjoy a massage. Other facilities of the hotel include valet parking, free bikes and a babysitting service. Newspapers are available free of charge. 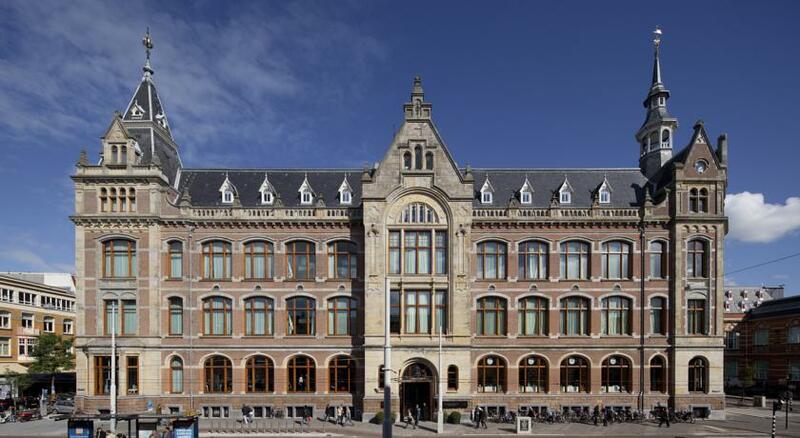 The Rijksmuseum and the Anne Frank House are both within 1 km from the hotel. The Vondelpark is a 10-minute walk away. The Leidseplein, known for its many bars and clubs, is 400 m from the hotel. 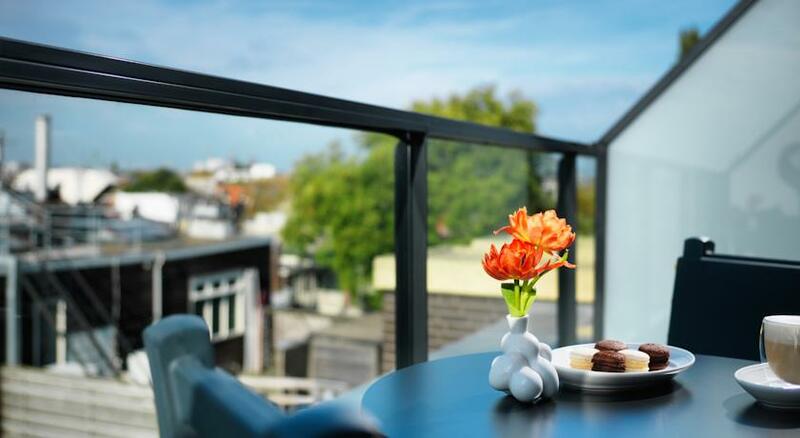 Situated in the characteristic canal district, Luxury Suites Amsterdam offers spacious accommodation in the centre of Amsterdam. Rembrandt Square is a 10-minute walk away. Guests can enjoy the on-site bar and free high-speed WiFi is provided. There is a 24-hour front desk. Each suite comes with a fully equipped kitchen and King size bedding. Guests benefit from a seating area to relax in after a busy day and a flat-screen TV with satellite channels. Air conditioning, a Nespresso coffee machine as well as a kettle are available. The private bathroom has a shower and comes with free toiletries. For your comfort, you will find bath robes and slippers. 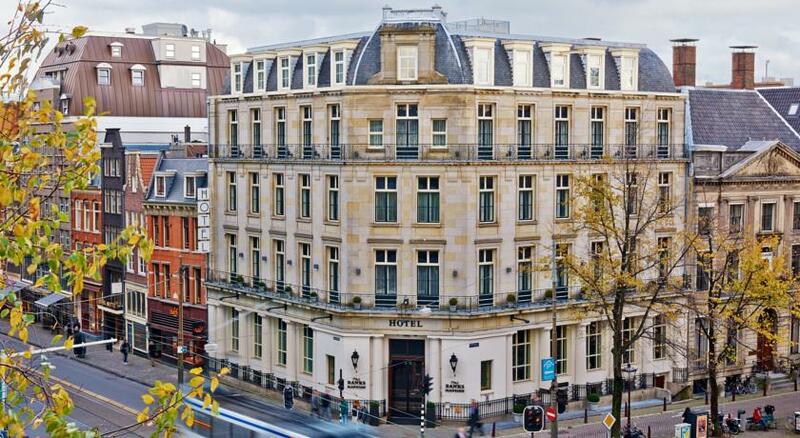 Royal Palace Amsterdam is 700 m from Luxury Suites Amsterdam, while the 9 Streets shopping area is 1,5 km away. P.C. Hooftstraat with its luxury shops is 2,5 km away. Rembrandt House Museum is a 3-minute walk. The nearest airport is Schiphol Airport, 12 km from Luxury Suites Amsterdam. The rooms and suites have a marble bathroom, COCO MAT beds and an iPod docking station. An iPad and a Bose surround sound system add to the latest modern facilities. The bathroom has a floor heating. Dam Square is a less than a 10-minute walk away. The Kalverstraat shopping area is only 500 m away and Rembrandtplein is 400 m. The nearby Spui tram stop gives easy access to Amsterdam Central Railway Station and Museum Square. The hotel also offers Skins Institute, a spa and wellness centre. Luxurious body treatments and sublime skincare are offered using only organic ingredients under the care of professional therapists. The spa and wellness centre also features saunas, a swimming pool and a fitness studio with 'technogym' cardiovascular and resistance equipment. Flat-screen satellite TV with a DVD player and free film channels come as standard in the air-conditioned rooms at Banks. They also include a free private minibar with luxurious cut-glass decanters of whiskey, cognac and gin. Banks Mansion is only 250 m from the Kalverstraat shopping area. The Keizersgracht tram stop is 140 m away and offers direct links to Museum Square. Banks Mansion offers wooden rental bikes and staff are happy to offer advice about attractions at the tour desk. Guests have free use of an iPad in lobby. Local landmarks include Hermitage Museum, Rembrandtplein, Flower market, all within a 5-minute walk away.